100 Classic Hikes: Washington has been an iconic state trails guidebook for decades. 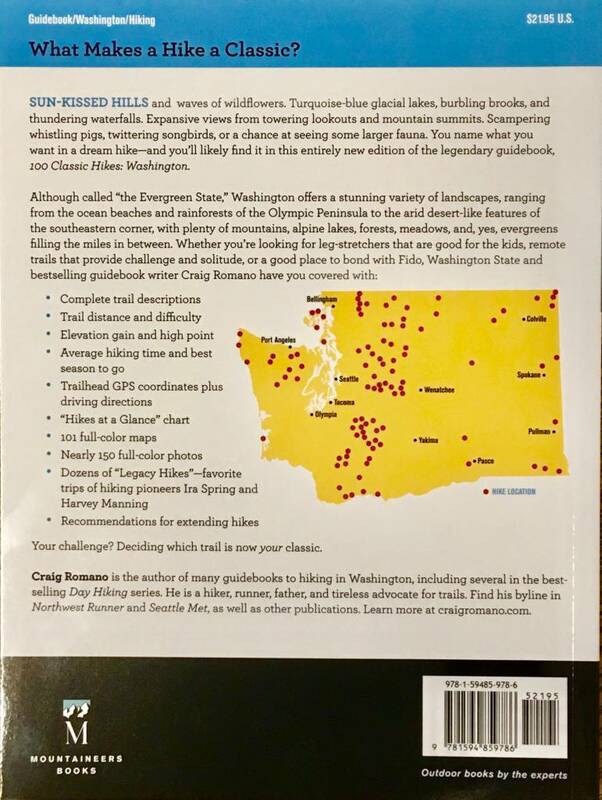 Initially written by the godfathers of Washington guidebooks, Ira Spring and Harvey Manning, 100 Classics has been fully revised and updated by their spiritual godson, Craig Romano. 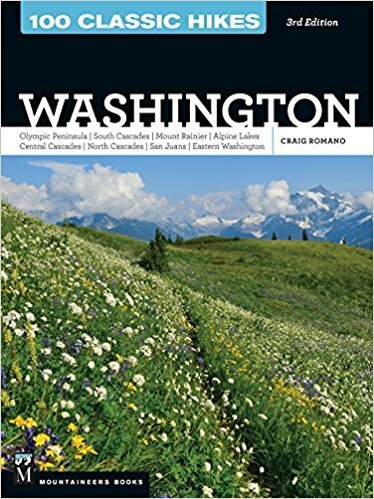 Author of more than a dozen books on Washington hiking, Craig brings his own energy, passion, and expertise to this new edition that’s every bit as gorgeous as its popular predecessor. Featuring full-color photographs and maps, the guide covers the best, most challenging, and most beloved hikes across the entire state, with a full range of trail options—from easy to strenuous, day hikes to backpacking trips. Each hike showcases outstanding scenery, dynamic geologic features, or not-to-be-missed adventures. • Features fifty “Legacy Hikes”—ones that Spring and Manning deemed “classic” all those years ago and that still make the grade!